A few of these turned into more than just hobbies. In fact, I had a small wedding cake business when I was in college and in the few years afterwards (Cakes by Amy, lol), and I was absolutely obsessed with it. For years, I was chin-deep in the world of fondant, icing tips, buttercream, color tints, spatulas, piping bags, and flower nails. Better decorating tools does not, by default, mean better cakes. Seems obvious, right? I mean... if you know how to pipe a buttercream rose onto a flower nail, a nicer flower nail may produce a nicer rose. But if you don't know how to pipe a buttercream rose in the first place, even a flower nail made of pure gold can't give you the result you're going for. Guess what? It's the same with flower arranging. And with calligraphy. And with running, cooking, oil painting, and, yes, with photography. Your camera will only take you as far as your knowledge and skills will let you. There's a lot of frustration due to the fact that these parents truly believed that a nicer camera would produce nicer pictures. Which, of course, I get. Because I've been there. 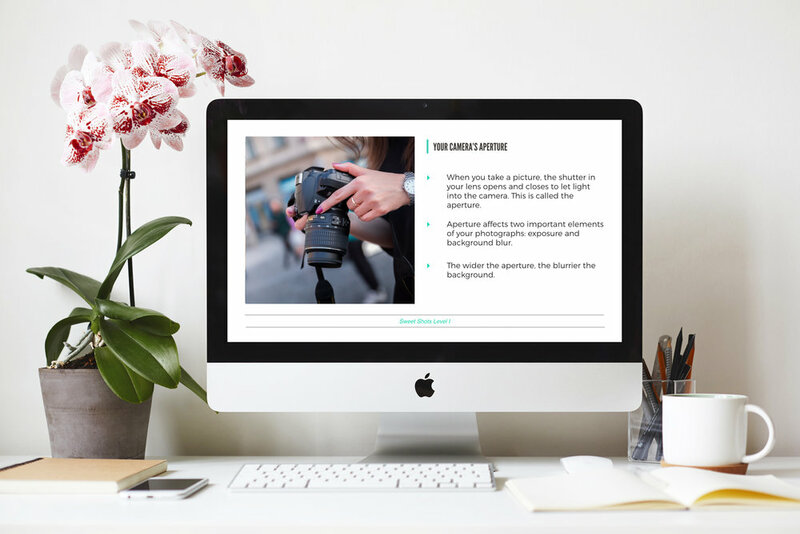 Through this class, I've taught more than two thousand parents the step-by-step process of taking stunning pictures of their children with their DSLRs. will be released this October!